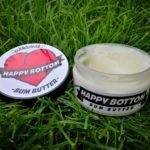 Review: Happy Bottom Bum Butter - ADVNTR. Hot on the heels (cheeks?) 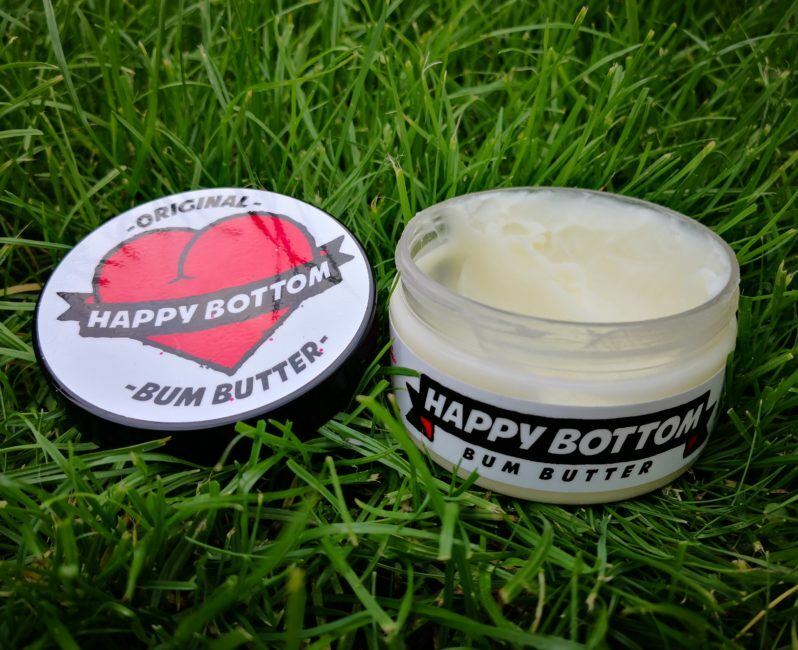 of the Squirt Barrier Balm comes Happy Bottom Bum Butter. Like the Barrier Balm, it doesn’t look like the typical white chamois cream. The tub proudly proclaims the contents are 100% natural and the ingredients list all looks pretty benign. There are a number of claims for the properties of the ingredients, e.g. 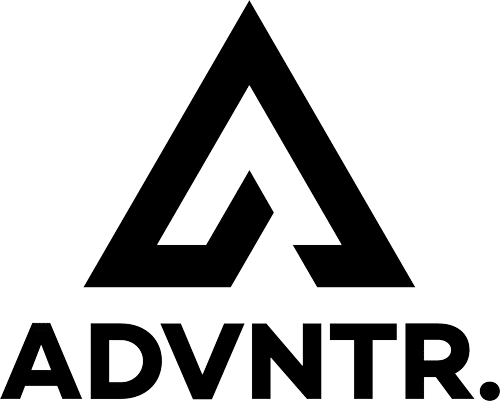 pain relief, skin repair and so on. It’s beyond our expertise to verify this so I’ll concentrate solely on whether it does the job while riding. First sensation on opening the tub is the smell, hmm… Nice. It’s not overpowering however, so if everyone in the cafe looks as you walk in, it won’t be the bum butter. It has a thick consistency but is easy to transfer to you know where. An application lasts a days ride and you don’t need to use as much as something like Udderly Smooth. Personally I’ve had no adverse reactions to the Bum Butter and it seems to wash out of your bib shorts without fuss. Happy Bottom Bum Butter slots nicely in between the Barrier Balm and traditional chamois creams. It doesn’t feel greasy or clammy in use, yet unlike Barrier Balm you won’t have a fight to get it off your hands afterwards. At £17.99 for 100ml it is certainly at the pricier end of the scale but this is offset by how sparing you can be during application. Additionally at the time of writing Charlie the Bikemonger is bundling a free Brooks multi-tools with Bum Butter which makes for excellent value for money!